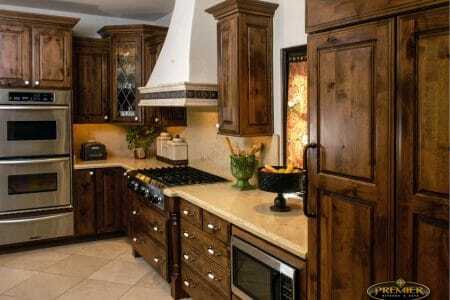 Are you looking for home remodeling designers in Scottsdale, Arizona, or a surrounding area? If so, you have come to the right place. At Premier Kitchen & Bath, we have a team of talented, qualified designers who have years of experience turning homeowners’ remodeling dreams into realities. In fact, our dedication to excellence in remodeling has earned us an A+ rating with the Better Business Bureau, a recent Best of Houzz award, a spot on Qualified Remodeler Magazine’s Top 500 Remodeler list, and many other distinctions. A Discovery consultation – During our initial consult we’ll talk about the aesthetics and functionality of your new kitchen, as well as your budget and expectations. 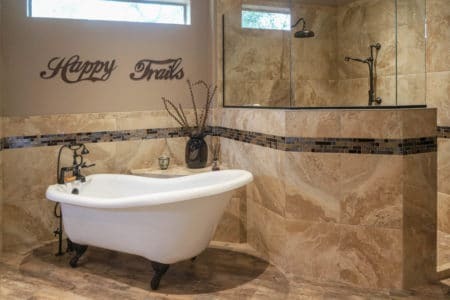 Custom designs – After we decide that we’re a good fit for one another, we’ll move into the design and planning phase where your remodeling dreams will begin to take shape. Design revisions – Our home remodeling designers will revise your preferred design as needed, until you’re sure that it’s the way you want it. Immaculate craftsmanship – We’ll order all the products and materials needed to complete your remodeling project and warehouse them, minimizing the risk of project delays. Once everything is in place, our craftsmen will complete the construction portion of your remodel to the very highest standards in craftsmanship. Visit or contact Premier Kitchen & Bath today to learn more about our remodeling services and to schedule a free Discovery consultation in our showroom today. One of our friendly and knowledgeable home remodeling designers will be happy to assist you.